Be obscene! Be, be obscene! Be obscene! It's nice when I see representation of my own body type in a game. Mostly, you've got sleek, cut, muscular dudes. It's nice when a big walking monster takes the field, shoving whatever they can into their mouths as they go. That's what we've got here with the Obscenes, a new unit coming for Runewars. When Llovar first revealed the truth of the Ynfernael to the Loth K’har, he gifted them a small taste of what it meant to be a demon. The power of the dark realm twisted the tribesmen into something more than human—something unnatural. Their skin hardened into a thick hide split with spikes, their muscles toughened with demonic strength, and their eyes glowed red with the glory of the Ynfernael. The Uthuk Y’llan accepted these gifts, and some grasped for more power with a hunger unlike anything seen before. The Ynfernael fed their desires, but at a terrible cost. These chosen few can tap into incredible power, but only as long as they feed constantly. 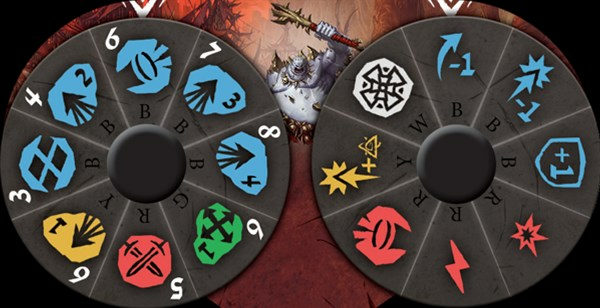 Now, as Terrinoth goes to war, the ground shakes with the approach of these Obscenes: grotesquely swollen tribesmen wielding massive clubs and the momentum of their dreadful bulk. 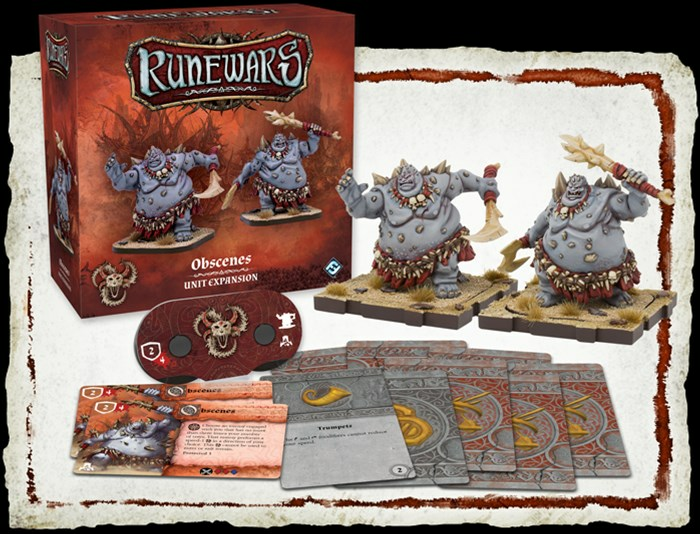 Today, we're pleased to offer you a closer look at these brutes found in the Obscenes Unit Expansion for Runewars Miniatures Game—now available for pre-order at your local retailer or online through our website!